Do you have your 100 Essentials ready to go? Do you have a plan on dealing with Radiation? Here is what we have. 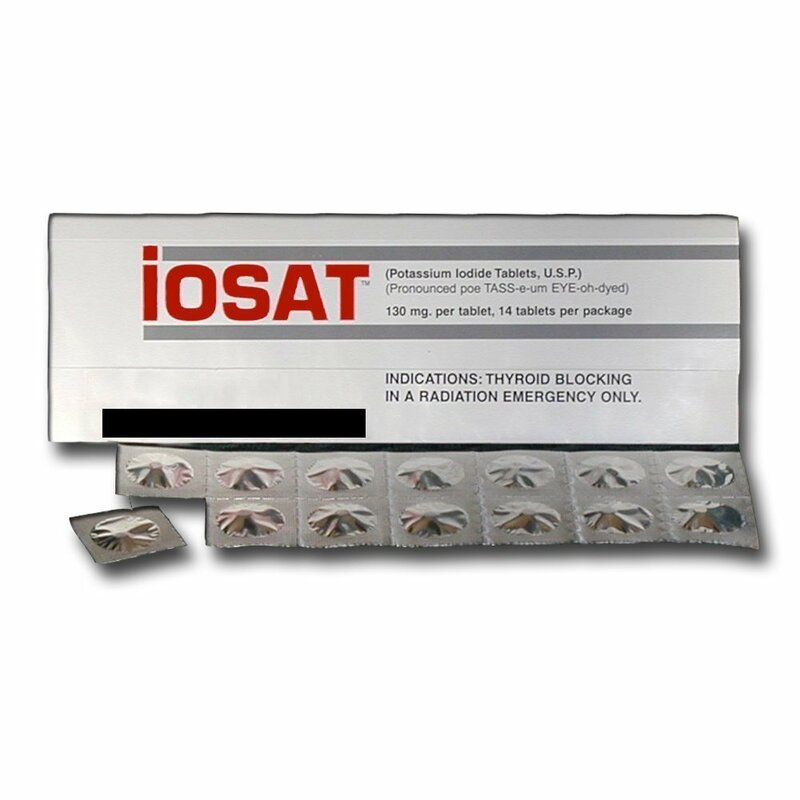 iOSAT Potassium Iodide Tablets, 130 mg (14 Tablets) available through Amazon. We also have three 1950 Radiation Detectors similar to these. Just found two about a year ago at an Antique Store for $40 ea. This is a different world that we are living in and anything can happen at anytime, it's a matter of how you handle the situation. Be safe and be prepared! Well, getting going is easier then you think! If you read last weeks blog post, I gave you a couple of ideas about stocking up on food and what we have personally been doing for the past few years. This week, were going to continue using our list and look at different options for the #1 item. The Generator or two! We currently have two gas powered generators, that we have really put to use over the past 2 years while were building our new barn. Some of you may have seen that on David's YouTube Channel USNERDOC. The first generator that we purchased at Costco over 15 years ago, and it's a 5000 watt Generac Gas Generator for about $600, When we purchased our current home we had a "Transfer Switch" wired in our garage. The cost of the transfer switch and installation was about $800 and allows us to hook up the generator and power our appliances and some lights when the power is out. Our Honda EU2000i, is a great addition to our generators. For about $1000, you can have a dependable super quiet light weight inverter 2000W 120v fuel efficient generator with parallel capability & oil alert. Generators can be expensive but you might be able to find a good used one on on Craigslist or your local newspaper. If maintained well, these will last a very long time but it needs to be on your list. Solar Generators are great if you live in an area where you received five our mores hours of sun daily. The sun is needed to charge the batteries that run the generator. Our good friend, Nick Meisner has an excellent course called "Off Grid Boot Camp". If your looking to go off grid, you might consider this online course to help you out. David, has taken it and thought that is was well worth the $$ that it costs to take Nick's course. Well, that's all for this week. Hope that this helps you to power you home in the event of an emergency.